Refer to the exhibit. 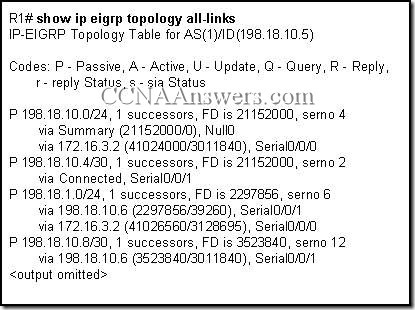 The company is using EIGRP with an autonomous system number of 10. 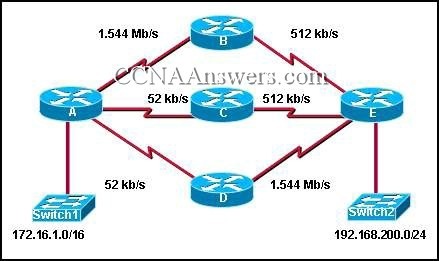 Pings between hosts on networks that are connected to router A and those that are connected to router B are successful. Refer to the exhibit. What is indicated by the P at the beginning of the topology entry? Refer to the exhibit. In the topology table, what do the numbers 3011840 and 3128695 represent? Refer to the exhibit. 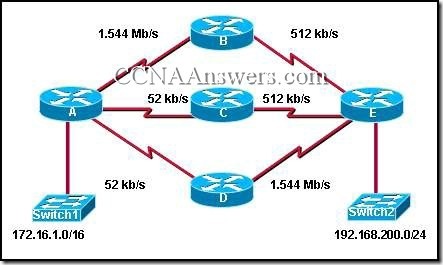 Network 192.168.0.0/28 goes down. 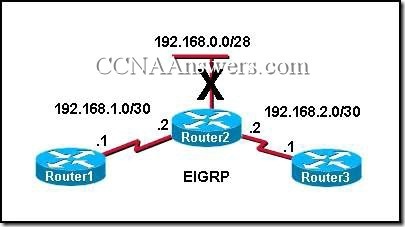 What type of packet does Router2 immediately send to Router1 and Router3? Refer to the exhibit. 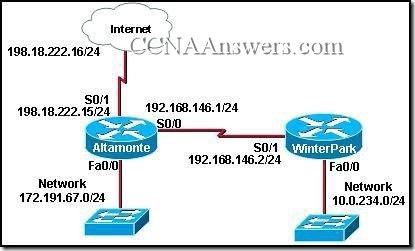 Which command will advertise the 192.168.1.64/30 network but not the 192.168.1.32 network on router A? Refer to the exhibit. 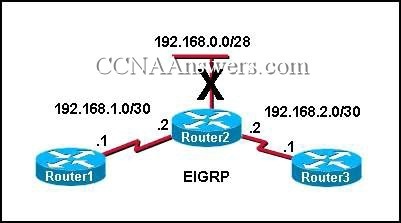 EIGRP is the only routing protocol enabled on this network. No static routes are configured on this router. 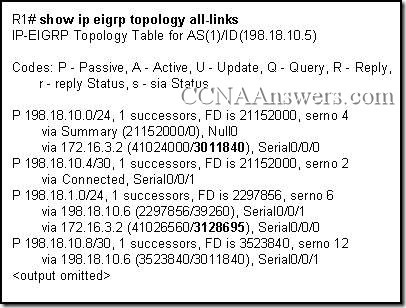 What can be concluded about network 198.18.1.0/24 from the exhibited output? Refer to the exhibit. All interfaces have been configured with the bandwidths that are shown in the exhibit. Assuming that all routers are using a default configuration of EIGRP as their routing protocol, what path will packets take from the 172.16.1.0/16 network to the 192.168.200.0/24 network? Refer to the exhibit. 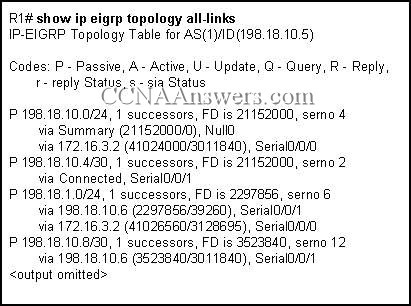 This is the debug output from 2 directly connected EIGRP routers. They are not forming an adjacency. What is the cause?